Let’s face it, most of the bodybuilders you see on the pages of muscle magazines began their bodybuilding journey with much better genetics than you did. You may be one of those “one in ten thousand” lucky souls with perfect muscle insertion, huge muscle bellies, small joints, and naturally low body fat. But there is a 1 in 9,999 chance you are not. You probably have genetics that are good in some areas, and a little weaker in others. You probably look at the muscle magazines and don’t realize that the people in those magazines have several sets of huge advantages in terms of size, structure, and many other factors. They may have 21-inch arms with perfect shape and symmetry, all while standing at 5% body fat. They may have attained it through some combination of diet and training, along with supplementation and the use of anabolic steroids. And even if you trained and ate just like they did, and used the same supplements and steroids, you would never look like them. It’s a sad fact of life you must accept. That being said, you can make huge strides in terms of finding a finish line that is light years ahead of your own starting line. If you begin your arm-training journey with 17-inch arms, then it’s very possible you can get them up to 21 or 22 inches like Vic Martinez or Dexter Jackson, both IFBB Professional bodybuilders. However, if you began your weight training journey with arms measuring 11.5 inches, then you may eventually cap out your growth at 16 or 17 inches. Will your arms look like those of the professionals? Of course not. Will you look like a professional compared to your own starting picture? Absolutely! Here are some tips for getting the most out of your arm training. 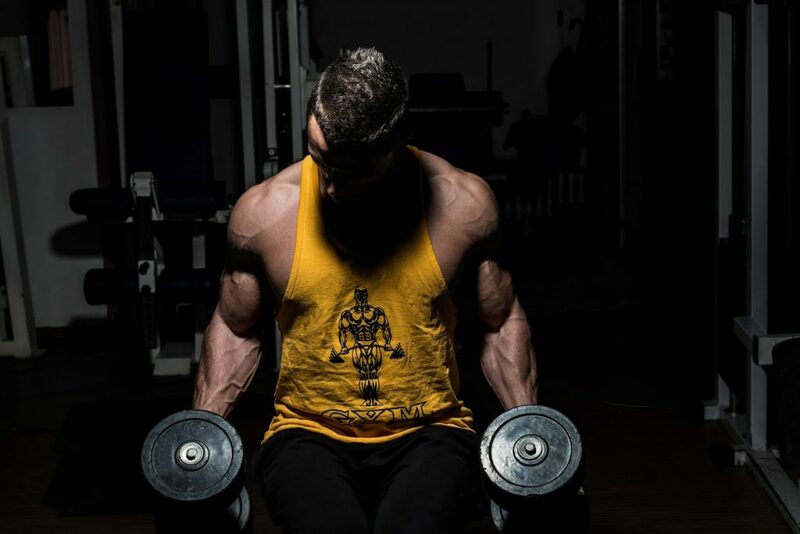 Remember that the key to arm growth is finding the right combination of training factors that work best for your own physique, with its own unique sets of gifts and deficits. Depending upon your body type and natural leverage (among many other factors), some exercises will be more effective than others. Compound and isolation movements affect different bodybuilders differently. Stick with a movement for 4 to 6 workouts to determine (based upon soreness and growth) if the movement is effective or not. Depending upon your personal mix of slow- to fast-twitch muscle fibers, a rep speed of 2 to 4 seconds will make a huge difference. The number of sets and rep range (all the way from 6 to 8, up to 15 to 20) will matter as well. Measure and record your results. Don’t become one of those bodybuilders who changes up his routine every 2 or 3 weeks as you discover a new routine in a muscle magazine. Instead, give each training protocol a solid 6-week test run to determine if it is effective or not. This includes all of the above factors (exercise selection, repetition speed, and set/rep scheme. Record your findings and wait the full 6 weeks before determining what works and what does not. The key to making the most personal gains (to move from your starting to finish lines the fastest) is to discover which combination of the above factors is most effective for making gains. This entry was posted in Training and tagged Arm Training, Training Arms. Bookmark the permalink.